Femoral stress fracture. EBSCO DynaMed Plus website. Available at: http://www.dynamed.com/topics/dmp~AN~T115016/Femoral-stress-fracture . Updated March 20, 2017. Accessed September 1, 2017. Stress fractures of the foot and ankle. EBSCO DynaMed Plus website. Available at: http://www.dynamed.com/topics/dmp~AN~T116052/Stress-fractures-of-the-foot-and-ankle . Updated March 20, 2017. Accessed September 1, 2017. 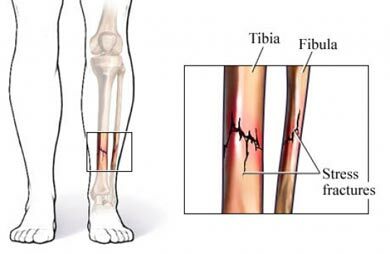 Tibial plateau fracture. EBSCO DynaMed Plus website. Available at: http://www.dynamed.com/topics/dmp~AN~T116325/Tibial-plateau-fracture . Updated December 22, 2015. Accessed September 1, 2017.